I was in an accident with a tractor-trailer truck in Wilmington NC on I-40. It was not my fault. I was hurt in the wreck. The insurance company has said they would pay my medical bills. Do I need a lawyer? ?I was in an accident with a tractor-trailer truck in Wilmington NC on I-40. It was not my fault. I was hurt in the wreck. The insurance company has said they would pay my medical bills. Do I need a lawyer? You need to talk to an experienced injury lawyer as soon as possible. The consultation is free. The information you receive will be very helpful to you before you have additional discussions with the insurance adjuster. 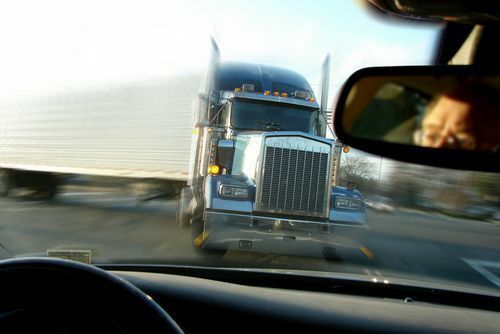 Tractor-trailer truck accident cases are just like other auto injury claims in some ways. There is an investigation, a written report, and an insurance adjuster. The same rules of the road that apply to other drivers apply to drivers of commercial vehicles. The process is very similar. Tractor-trailer or commercial truck accident cases are different in other ways. The injuries can be more severe and require additional documentation and medical opinion. 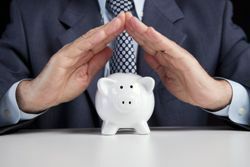 The insurance policies can contain different language, provisions and coverage amounts. There may be additional regulations, investigative reports, and responsible parties involved. Even when the accident is clearly the truck driver’s fault, the conversation does not end. So, they are going to pay. That is great. How much? That is where the conversation can get sticky. The insurance adjusters in truck cases have the same directives from their employers-the insurance companies-as insurance adjusters in other auto accident claims. Their directives are to get out of this case by paying the smallest amount possible for the claim. They will do everything they can to pay as little as they possible can. They know the rules and the process. You may be smart, organized and resourceful. Most of our clients are all of those things. But, no matter how much you research and no matter how careful you are, you simply don’t have the same level of knowledge and experience that the adjuster has about these types of claims. The adjuster may be friendly. He may be nice, polite, and seemingly helpful. He may give you fair compensation for your property damage claim. That is pretty easy to establish using various on-line resources. But, when it comes to paying the claim for your injuries, will he be fair? And by the way, what is a fair settlement amount for your claim? Of course, they should pay for your medical expenses. Should they pay anything more? How much more? What if you have future medical expense? Have you missed work? Do you have permanent injuries? Also, did your health insurance company pay anything for your treatment? Has that been considered? Will you be required to pay them back from settlement proceeds? What about the releases for property damage, medical information and liability? What do they mean and how do they affect your claim? You are probably not the kind of person who likes to sue other people. You just want to be treated fairly. That is why we are here. We obtain fair compensation for injured people. Call the tractor trailer and commercial truck accident and injury lawyers at Speaks Law Firm in Wilmington NC for more information.